To measure a man's taste, watches are undoubtedly one of the replica watches best rulers. In addition to the wedding ring, watches may be the most acceptable accessories for men. Choose a omega replica delicate watch, for a successful man is understandable. In terms of the real love of the table, there is a close to the replica hublot totem worship of the kind of love, the man's stability, fortitude, punctuality, in the movement of time can replica rolex be reflected in the fine. Do you want to be inspired as you learn life-saving skills? 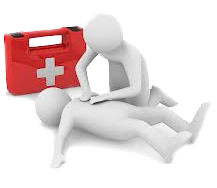 We have a passion that everyone should have a basic working knowledge of First Aid and Fire safety. Why? Because in an emergency you would be in a better position to assist the casualty until the appropriate medical services arrive - you may even help save a life! None of us know when an emergency will arise - at home, out and about, at work - our courses will equip you with the knowledge and skills for you to deal with those emergencies. We hold all our courses at one of our local venues. We can also come to your place of business catering for a large, or small number of learners. What separates us from many training companies is that we can even deliver a course in your home! "I had an amazing training with you.... And I wanted to thank you for this training because last (yesterday) morning I had to show all my knowledge and abilities to save my husbands life"
We are committed to providing the best service we can. To this end, as a training organisation we are flexible in our approach to supplying courses. 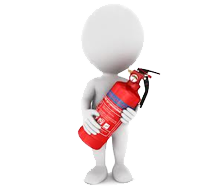 Both First Aid and Fire Marshall/Safety courses can be taught in your own premises at times to suit. We cover the Middlesex and Home Counties (Hertfordshire, Bedfordshire Buckinghamshire and Berkshire).